The federal election has come at a critical time for Australian philanthropy, writes Philanthropy Australia policy and research manager Sarah Wickham, as part of a series of articles looking at what the social sector wants from the incoming government. Every federal election is a critically important juncture for the nation. However, this federal election is also critically important for the future of philanthropy. In fact, it is the most critical time for Australian philanthropy in the last century. Australia is on the cusp of the largest intergenerational wealth transfer in our history, with estimates that over the next two decades $2.4 trillion is expected to pass from aging baby boomers (who in 2017 made up one in seven Australians aged 65 years and over) onto the next generation. Yes, you read that right – we are talking about an astounding $2.4 trillion of existing money that will be handed down! This impending intergenerational wealth transfer presents a unique opportunity to supercharge giving. It will allow the creation of the next wave of philanthropic foundations structured to provide perpetual support to address Australia’s most serious social challenges, to endow the next century of Australia’s artists and scientific talent and to preserve and protect all that is great about Australia’s natural landscape. Australia has already missed a similar opportunity once. With foresight our political leaders could have capitalised on Australia’s mining boom by developing sovereign wealth funds (state-owned investment funds), investing the surplus mining boom revenue for the future needs of our country, like the Government Pension Fund established by the Norway government with the surplus revenues of their petroleum sector. We don’t want to miss this opportunity again. As a country we can learn from the mining boom experience to capitalise on this impending record intergenerational wealth transfer. Increased government regulations to incentivise bequest giving, along with long-term strategic collaboration between government and philanthropy, will enable the best possible opportunity for philanthropy to address the future needs of Australia’s diverse communities. At the 2019 Federal Election we will be selecting who will be making the decisions that will impact the next generation of philanthropy in this country. Philanthropy Australia has recognised the crucial nature of this election and we have launched Philanthropy Australia’s 10 policy priorities for A More Giving Australia. These clearly articulated recommendations are a combination of short-term, and medium- to long-term policy priorities that the federal government needs to adopt to ensure we supercharge giving in the two decades of intergenerational wealth transfer, promote a flourishing civil society and support a more generous, vibrant and connected nation. Now is the time for government action as there has never been a more crucial time for Australian philanthropy. 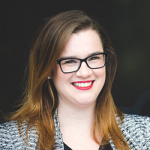 Sarah Wickham is the policy and research manager at Philanthropy Australia.